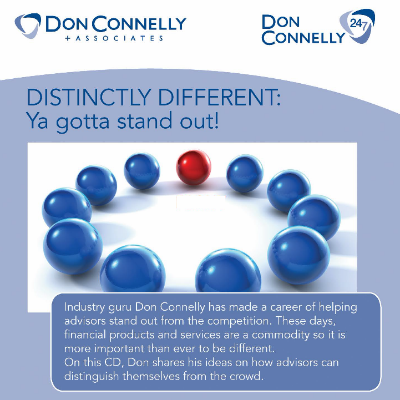 Distinctly Different: Ya Gotta Stand Out! I’ve bought Don’s tapes over the years and this turns out to be a different package of tapes I already have. 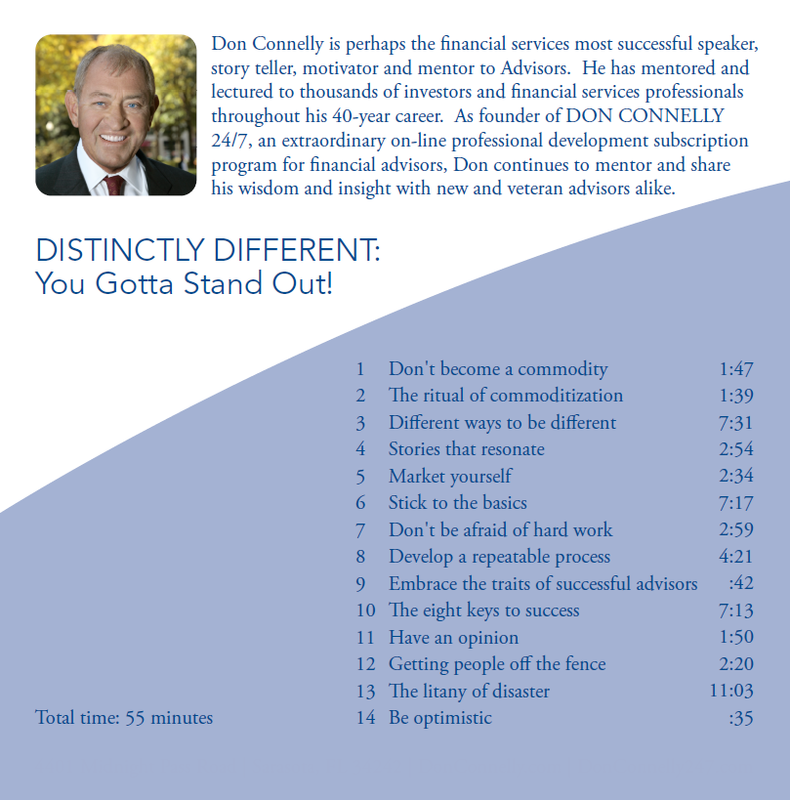 I have also heard Don in person and his tips an analogies are terrific and I use them all the time. When you draw a word picture for people they can grasp what I am saying. Keep up the good work. Perhaps an update on markets now that we are at all time highs.